School’s out for the summer, leaving this teacher wondering how to go on vacation without breaking the bank. The answer is Iceland. It’s no warm tropical paradise like the islands of the Caribbean, but it’s unique natural features and wild beauty make it a must-visit destination for the adventurous traveller–not to mention the unique, indigenous foods of this gorgeous Nordic island. Getting flights to Iceland is inexpensive. A one-way ticket with a low-budget airline offered a deal of $260, so I jumped on this deal and set it as my first launching point for my European vacation-on-a-budget. Some airlines even have long layovers or stopovers in Keflavik Airport, where a person could book a trip around the golden circle for a small price or grab a 45-minute bus ride into Reykjavik, Iceland’s capital, and go into the city to check out the incredible food scene. Hot Dogs: Unlike hot dog stands in New York City or sports arena vendors in the states, these are not beef and/or pork hot dogs (if that really is what’s in them). They are hotdogs with Icelandic lamb, beef, and pork called Pylsurs or Pulsurs. They are cheap and absolutely delicious. The hotdog is all made with free range, grass fed, and hormone free meat, which is the perfect fast food when you are on the go, or the best thing you’ve ever had in your life after the bars close. You want this hotdog with EVERYTHING: ketchup that’s made with apples (you can’t even tell), brown mustard, remoulade, fried and fresh onions. 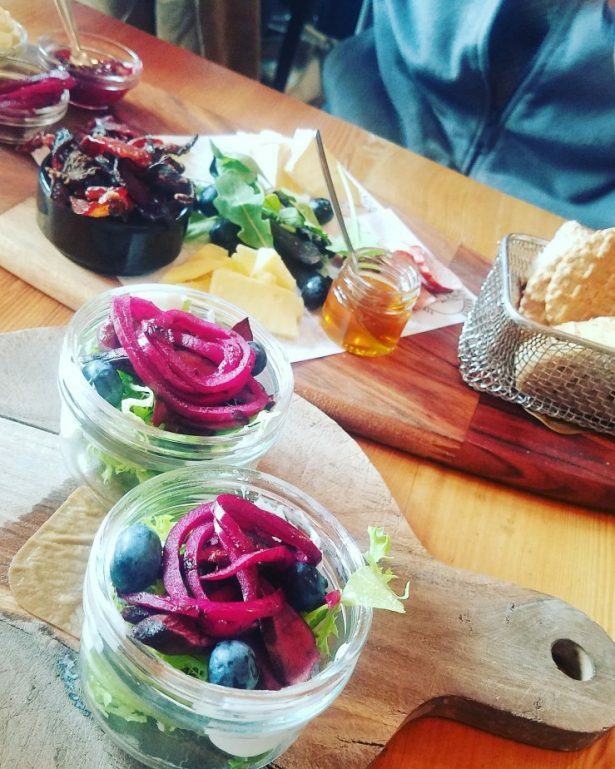 The best place to indulge on this amazingly simple food is at a stand called Bæjarins Bestu in Reykjavik. 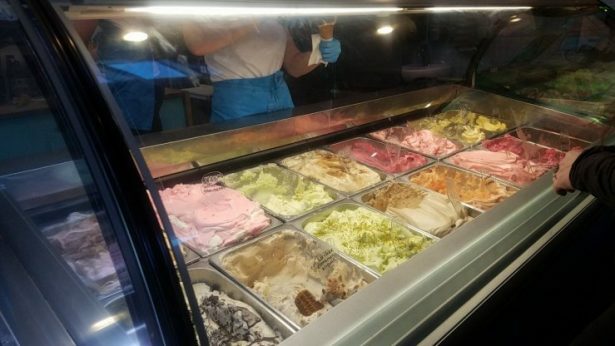 Ice cream: When in Iceland, you must have ice cream. There really is nothing particularly different about it, besides the fact that it’s an Icelandic thing to eat any time of the year. The stuff is so popular that you have to take a ticket and wait for your number to be called at most ice cream shops, which can have more than 20 people before you. Take a scoop or two at Valdis, a very popular ice cream shop around town. Cheese & Dairy: I had no idea that Iceland produced such a wide variety of cheeses! Much like the cheeses you can get in the store, Iceland offers cow and goat cheeses, aged for various weeks or years. Again, the benefit of these cheeses in Iceland are they are from free range, grass fed, and hormone free cows, goats, and sheep. It tastes great with pickled onions, local honey, jam, or just by itself. 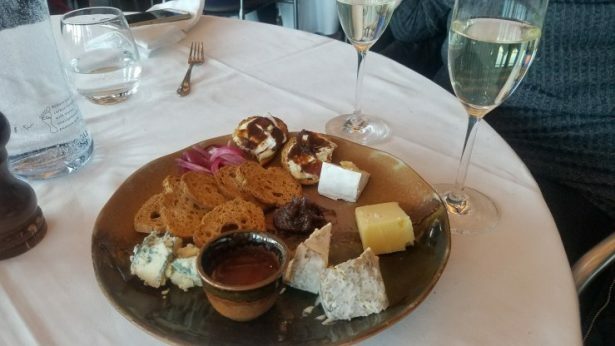 Lava at the Blue Lagoon offers a great Icelandic cheese plate. Meat: In Iceland, the vast majority of the country has free range animals like lamb, horses, and cows, so it’s no wonder Icelandic meat is different from most meats you would get in the states. It’s tender, has more flavor, and isn’t stuffed up with hormones. It’s the real stuff. Typically, lamb is one of the most sought after meats just for its flavor alone. 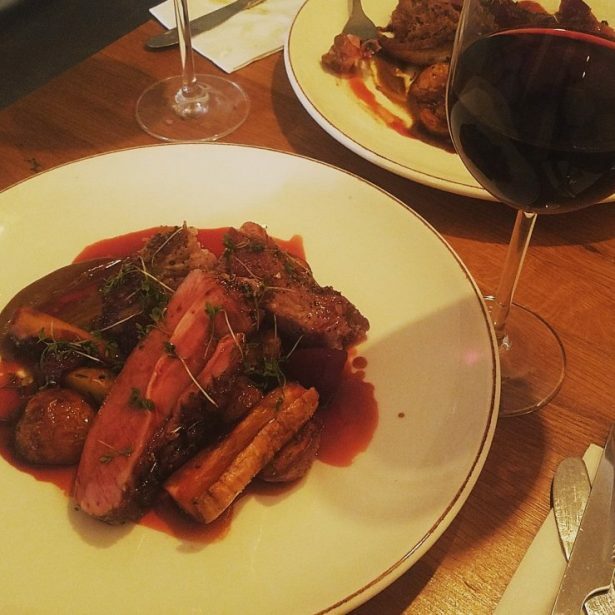 You can slow roast lamb and serve it up with traditional jam, brown sauce, and potatoes, which makes for a hearty Icelandic meal during the dead of winter. If you want something a little lighter, there is also such thing as lamb bacon, which rivals the bacon we know and love. If you want something a bit more interesting, you can try horse. Around Iceland, it is said that there are more horses than people on the island, so it makes sense for this island country to add horse to their diet, given how expensive it is to import food. Poultry: Chicken is available around Iceland, as is duck, although it’s not sought after like lamb and seafood. However, there is one bird that stands out: Lundin, otherwise known as Puffin, Iceland’s official bird. It is traditionally smoked with licorice and served similarly to duck breast. The texture is also like duck; however, the taste is completely different, as there is a saltiness to this seabird. Fish & Seafood: Being an island, of course the seafood is amazing. Fresh caught atlantic cod, salmon, ling, lobster, shrimp, scallops, mussels, you just about name it, it’s there. It’s so fresh, you’d be dumb to not at least try a fillet or soup, even if you aren’t a seafood lover. You could even try Harðfiskur, which is dried fish, if you aren’t at least willing to try a lot of seafood. One of the best soups I ever had was the seafood soup at the Old Icelandic Restaurant on the main drag of Reykjavik. It was filled with delicious bits of cod, ling, blue mussels, and shrimp. The broth is made with lobster shells and coconut milk. They add a little sriracha for even more flavor, and it’s a soup that will warm you up right to your toes. Feeling more adventurous? You can order fermented shark also known as Hákarl. The smell of cooked shark is so distinct that you know when a shark is in the room. There have been stories in the past of people attempting to open up fermented sharks on planes for an in-flight meal, only to be denied for the sake of everyone else on the plane. Drinks: In Iceland, the craft beer breweries are on the rise. This is a big thing for a country who only 30 years ago lifted the ban on beer. Prior to the late 1980s, the only alcohol one could really have was vodka. Now a days, you can walk into just about every bar and order a local pint. If beers aren’t your adult beverage of choice, there are several different brands of Icelandic vodka you can try either in a cocktail or just as a shot. A most notable spirit to Iceland is Brennivén. It is a schnapps made from either potato mash or fermented grains and is steeped with caraway, angelica, and cumin. It is super strong and can often be referred to as “the black death”. In addition to Brennivén, a not so intimidating liquor, is Ópal. It’s sweet and comes in several different flavors. The best way to drink it is as a chilled shot. 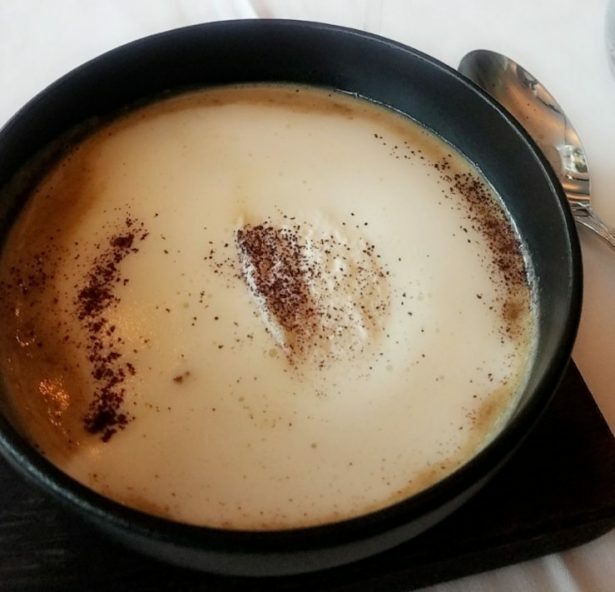 You can also read this article on Chloe Fortin’s blog, Adventure In Travels, where she’s blogging during her European vacation. All photos by Chloe Fortin.